Please click the "Pay Now" button below to make online payments through Paypal! Doctor Bendall's Veterinary Housecall Practice provides reliable, mobile veterinary services to specific regions within the greater Austin area. 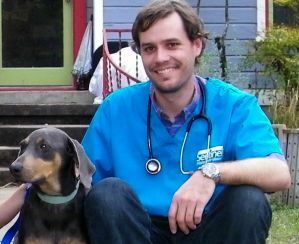 Doctor Bendall's is owned and operated by Dr. Matt Bendall, a 2007 graduate of Texas A&M University College of Veterinary Medicine. Dr. Bendall believes there is an easier way to provide quality veterinary care for your pets in the comfort of your own home. Services outside the scope of what we are able to accomplish at a housecall visit will be referred to either a hospital of owner's choosing or a facility recommended by Dr. Bendall. How did you hear about Doctor Bendall's Veterinary Housecall Practice?